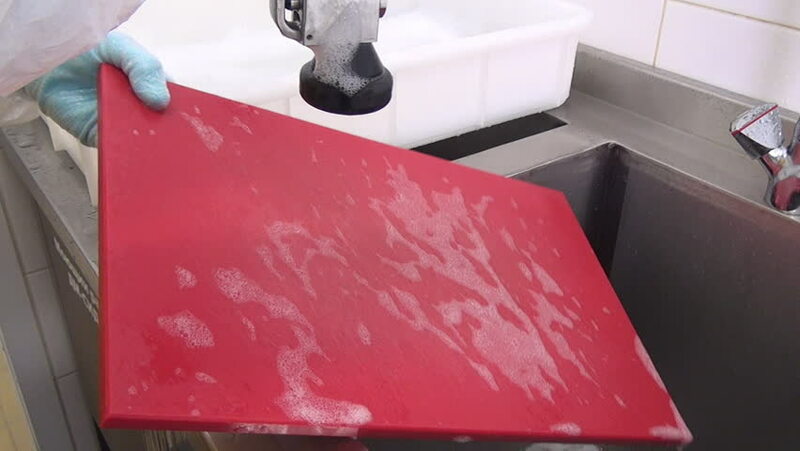 hd00:19Cleaning colorful plastic cutting board from remnants of food. Application of disinfectant solution. Washing of premises and equipment in food industry, supermarkets, warehouses and similar places. hd00:15Cleaning colorful plastic cutting board from remnants of food. Application of disinfectant solution. Washing of premises and equipment in food industry, supermarkets, warehouses and similar places. hd00:09A butcher seasons a large amount of minced meat as it spins in a mixing machine.